why pay someone else? you can do it for next to nothing and brag about it! When I bought my 1979 camaro, it had 15" chrome wheels that looked like they belonged on a 1950's car. 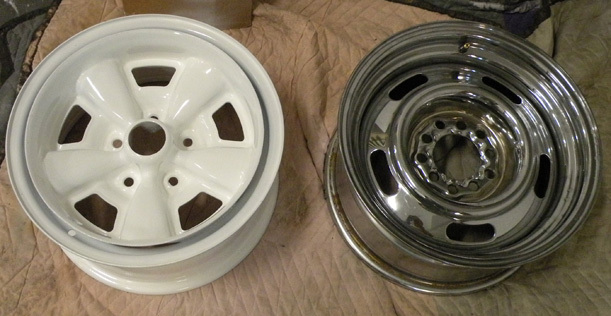 I found that the stock wheels that came on the car were the same style used on 1971 and 1972 chevelle, which increased the odds of finding a set. 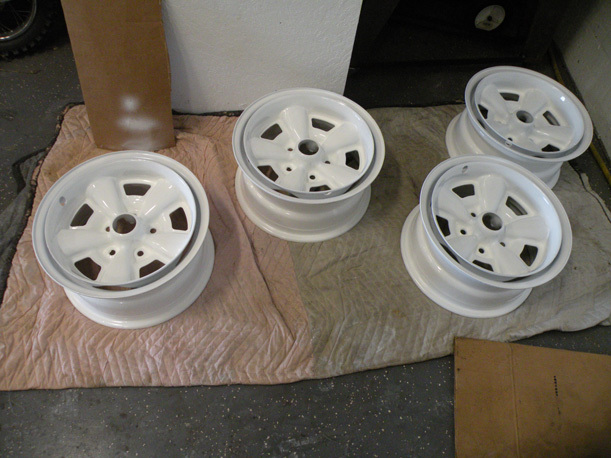 After months of looking on ebay and craigslist I found a set of 5 wheels about 2 hours from where I live. so I hurried up and drove there. they turned out to be a little rougher than they looked but I talked down the price until it was reasonable. you can see the one on the left that I had started to sandblast. I had planned to sandblast them myself. 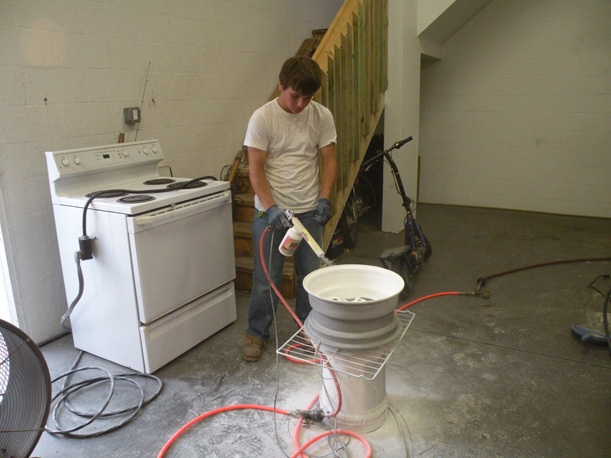 But after several days of trying I found out that my sandblaster and air compressor were not adequate for the job. 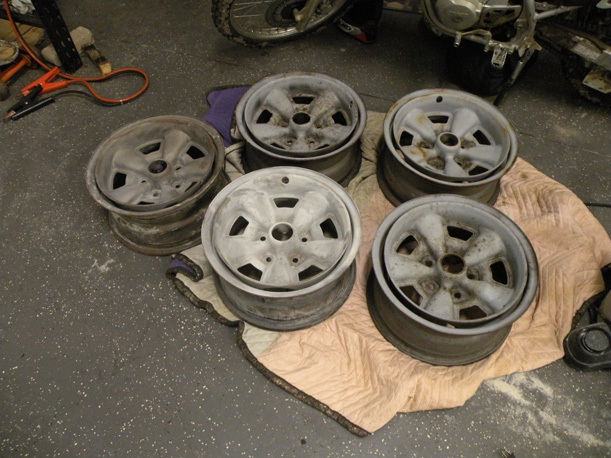 fortunately our local sandblasting company quoted me $130 for all 5 wheels. I thought that was reasonable compared to how long it would take me to do it myself. 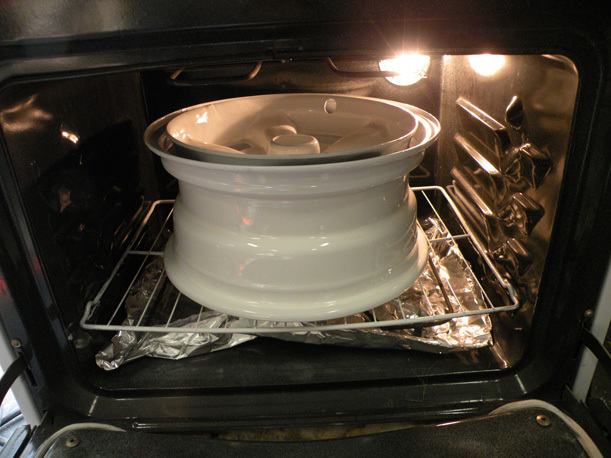 I searched craigslist for a week or so and finally found an oven "broken" for $10. What a deal! I brought it home and hooked it up and it worked fine! so that was something I didn't have to worry about. 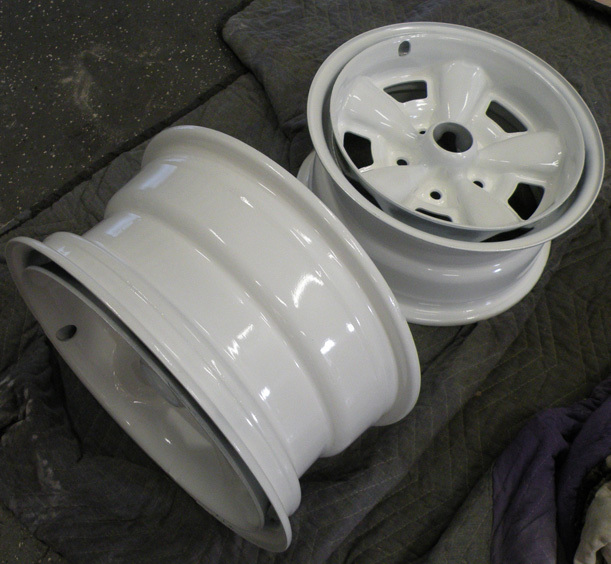 So I ordered the powdercoat powder from eastwood, the same company who makes the powdercoat gun we have. 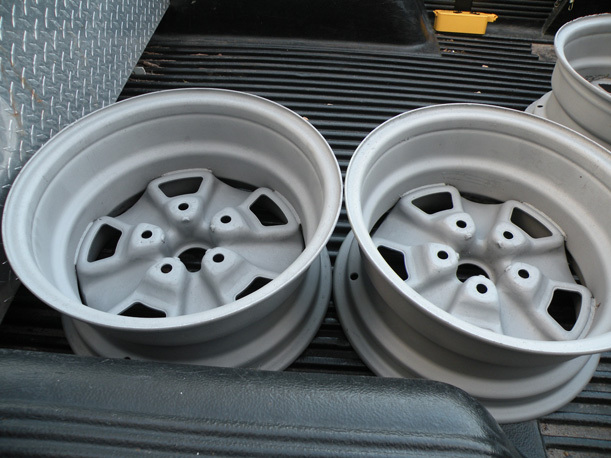 Now that I had everything in line I had the wheels sandblasted. It only took a day and I picked them up right away before they started to rust. the fifth one needs some extra work, but that can wait. for now just 4!